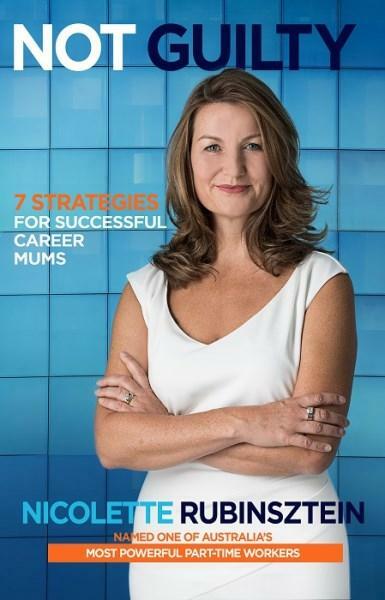 Nicolette Rubinsztein, Director, actuary, former General Manager of Strategy at Colonial First State/Commonwealth Bank and mother of three, has launched her first book ‘Not Guilty’ – a practical guide for women who want to better balance professional life and motherhood. At the launch on 23 September Nicolette, a member of the Actuaries Institute Council and Public Policy Committee, focused attention on the challenges professional working women trying to raise a young family face. Nicolette’s husband, her three children, and her parents, who had flown over from South Africa, were in attendance together with friends and colleagues. CEO of the Actuaries Institute David Bell, Senior Vice President Jenny Lyon, and Deputy CEO and Head of Public Policy Elayne Grace were also in the audience. 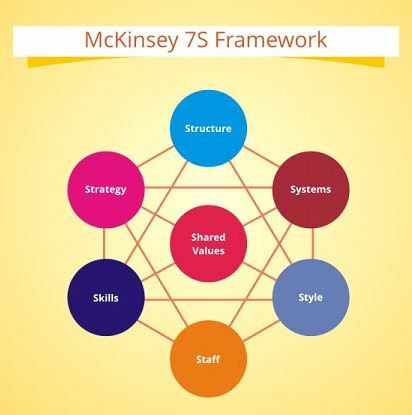 The book applies the McKinsey 7 S Framework for managing the strategy of a company – with ‘shared values’ its heart – to managing work and home life. Nicolette speaks directly to the guilt and insecurity women can feel in the workplace, especially around maternity leave periods, and what needs to change from a legislative and corporate management perspective, to improve outcomes for working mothers. “I don’t think it’s possible for us to have it all or be perfect career mums,” Nicolette told those gathered in Darling Park, Sydney. “The right boss is the most critical thing. You can have the right company and HR policies, but if you don’t have the right boss you can’t get that flexible work agreed to,” said Nicolette. 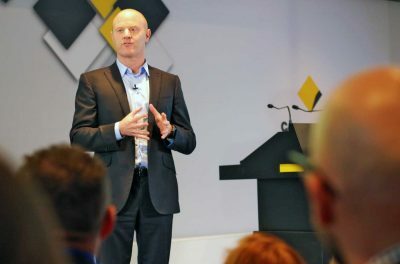 The launch featured an introduction by Ian Narev, CEO of Commonwealth Bank , and Jane Curry, owner and managing director of Ventura Press. “For women, and men, it’s about finding out what works for you and making choices,” said Ian. Jane described an engaged professional life as ‘essential’. This is even more pertinent for mothers today, with *US Bureau of Labor Statistics (BLS) data suggesting the percentage of working women with children aged under 18 has increased from 9% in 1940 to 47% in 1975 and 71% in 2010. “Flexible work practices allow talented people like Nicolette to stay in the system,” said Jane, who said she jumped on the opportunity to publish Nicolette – named one of Australia’s most powerful part-time workers in 2014. “We are well on the way to achieving gender equality in the workplace, I say that because of my own experience,” said Nicolette, adding that she is particularly in awe of the men that lead the way on the subject of flexibility. 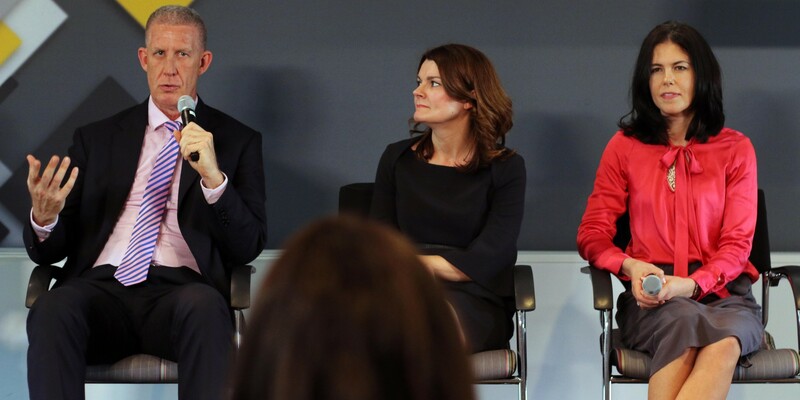 The launch was followed by a panel discussion on the benefits and challenges of particular types of flexible work agreements. 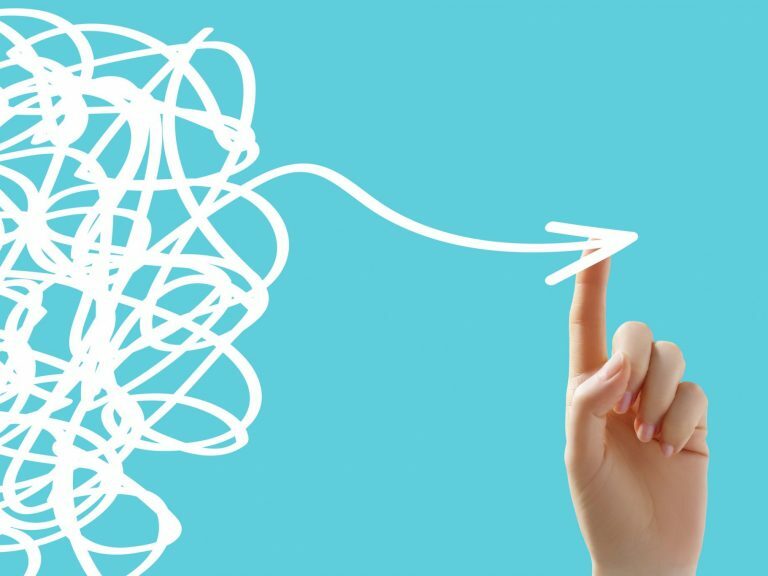 Mark Worthington, Executive General Manager of Group Audit at CBA described how he changed his work habits to allow him to improve his parenting capacity, and what this meant for his clients, staff and his own attitudes. Mark Worthington, Executive GM of Group Audit at CBA pictured with Executive Managers in CBA’s Wealth Management Strategic Development team, Lucy Foster (centre) and Catherine van der Veen (right). “Never for one moment did I hide [from clients] what was going on,” Mark said in regards to the uptick in his working from home. He emphasised the need for open discussion on “essential” flexible work options when individuals face personal challenges or family life changes, as he did. “I’ve had people break down and cry…and stop and thank me for speaking out about this,” Mark said. Self-described “work-wives”, job-sharing Executive Managers in CBA’s Wealth Management Strategic Development team, Lucy Foster and Catherine van der Veen, explained their arrangement and why they are strong advocates for this “underutilised and lesser known” form of flexible working. “Working part-time and being responsible for all the output is very challenging,” said Lucy. 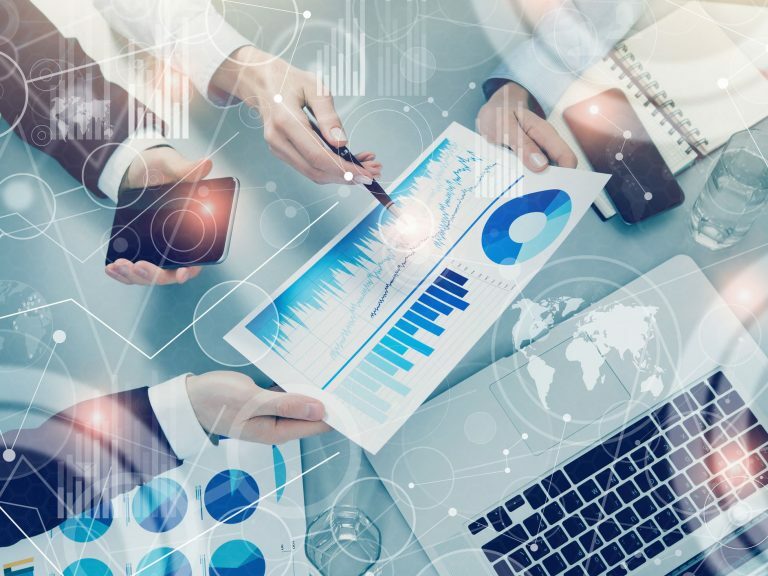 The pair emphasised the importance of mapping out areas of the job and deliverables they share (60%) and areas of specialisation they each cover in the remaining 40% of the workload. “Lucy is very good at the detail…I’m more of an experimental thinker,” said Catherine. “I’m an alpha person, I like to control things…but once my 2.5 days are over, I have to let go and accept decisions I may not have made,” said Catherine. But job sharing is not without its challenges. It requires those in partnership to have a high level of trust, communication and mutual respect. “I’m an alpha person, I like to control things, I’m on a career trajectory…but once my 2.5 days are over, I have to let go and accept decisions I may not have made,” said Catherine. Nicolette’s book Not Guilty can be purchased here. All author profits go to Missionvale Australia. Read a short book review of Not Guilty by CFO and Chief Actuary of Comminsure, Jennifer Lang.